It’s tough for a Foreman to remember everything that happened during the day and take the time to write it all down on the daily report. Our process captures information directly from the source, the crew leaders in charge of installing work. We simply push data from other sources already being completed daily. All a foreman has to do is review, edit as desired, and save. Work completed, conditions encountered, notes, photos, and more all organized down to the task and area of the project are already on the daily report. 100% of respondents to our user survey say that our Daily Job Reports is the easiest method for generating Daily Job Reports that they have tried. You bet! 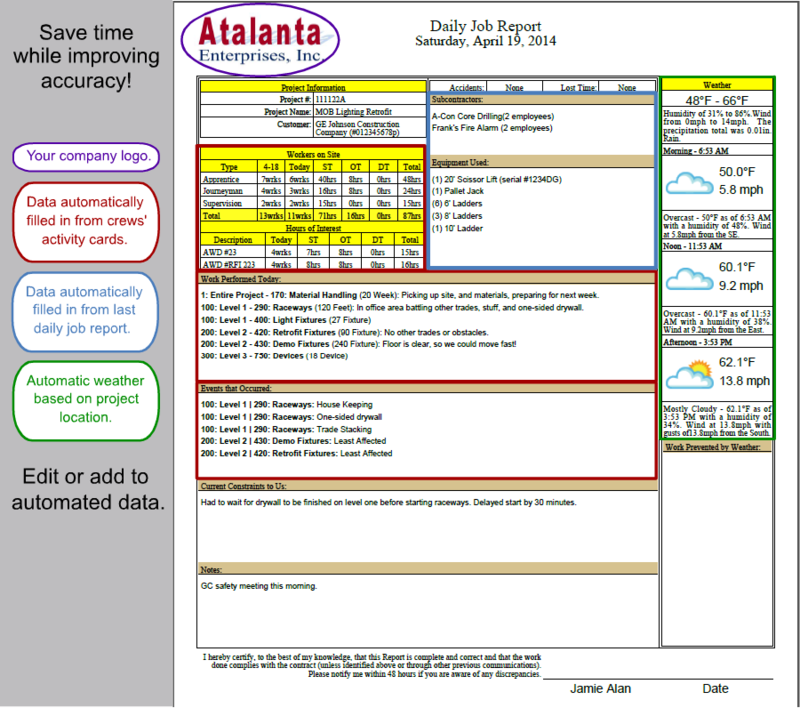 Weather (morning, noon, and afternoon) is auto-populated onto the daily report based on the jobsite's geographic location. The average time for our users to fill out daily reports using Construction Monkey is only 2 minutes 48 seconds with greater accuracy than other solutions.